Save the Date - Eat.Drink.Westfield's FREE Food Festival is almost here! Save the Date – Eat.Drink.Westfield is almost here! Save the Date! Over two glorious days, this free food festival will hit Westfield Garden City on the 5th & 6th of August. The festival celebrates all things food, drink, dining and entertainment – there’s something for everyone! Whether you’re a coffee fanatic, a craft beer expert or a passionate foodie – there’s sure to be something here to please. The festival kicks off at 9:30am with FREE cooking classes for the kids at Vapiano (bookings essential). Let the experts teach your kids how to cook tasty pizzas – it’s a great way for them to explore food and get creative in the process. Watch art come to life with the Live Art Installation by Cherie Buttons in the Fresh Food Precinct. The live art installation takes place over both days, so be sure to check the guide for times. 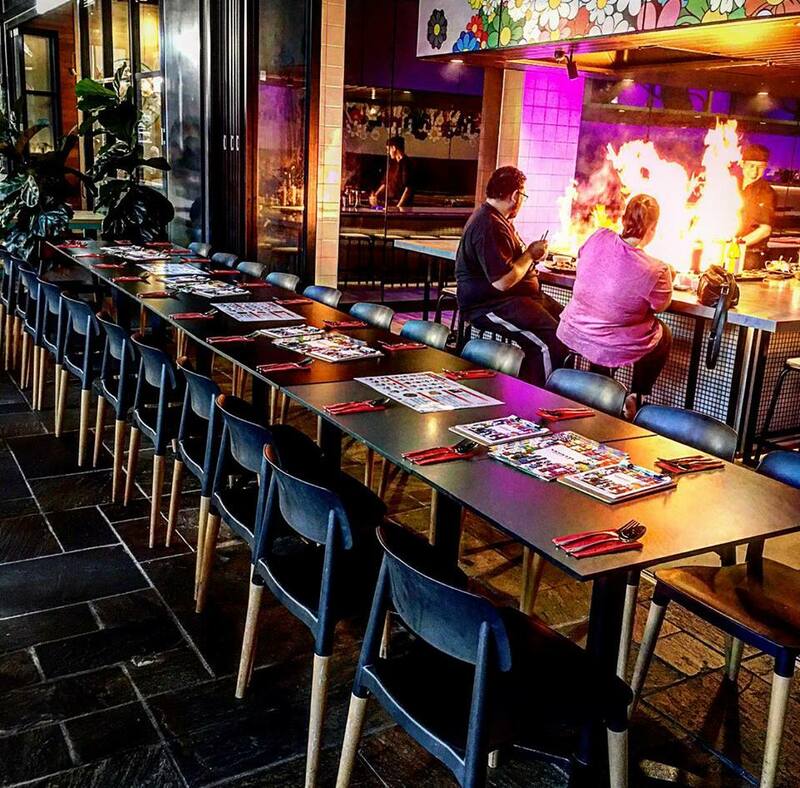 Check out the FREE Live Teppanyaki Demonstrations at Kamikaze Teppanyaki – expert Teppanyaki Chefs will show you how it’s done! That’s one time I don’t mind there being a fire in the kitchen! It starts at 2pm both days. Ever wanted to learn how shake, stir and pour like a pro? Come along to the Free Cocktail Making Session at The Palms Mediterranean Bar & Gill (hurry – bookings are essential – Saturday is already sold out!) I’ve already booked my spot! Sessions start at 5:30pm both days – why not reserve a table for dinner afterwards whilst you’re at it? It’s sure to be a fantastic weekend and with so many restaurants and eateries now available at the ‘still expanding’ Westfield Garden City, why not gather up your friends, plan your day and explore a new restaurant or two while you’re at it? Shop till you drop, have a bite to eat for lunch, take in the demonstrations, live music and entertainment or continue shopping until dinner! To see what else is on, check out the events list here. Grab your friends together and start planning your day at Westfield Garden City’s Eat.Drink.Westfield food festival! (All imagery copyright of Westfield Garden City).